The outside of your home is important. From the exterior design of house to the landscaping, this is what people see first. We know how important it is to get it designed right. 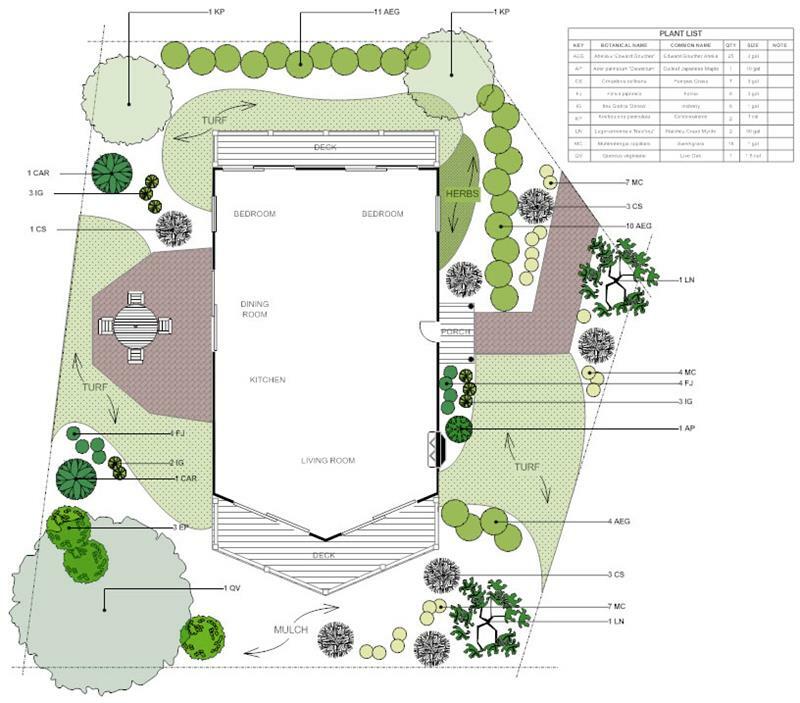 Whether you are new to landscape and garden design or a veteran, we want to introduce you to a new way to plan. 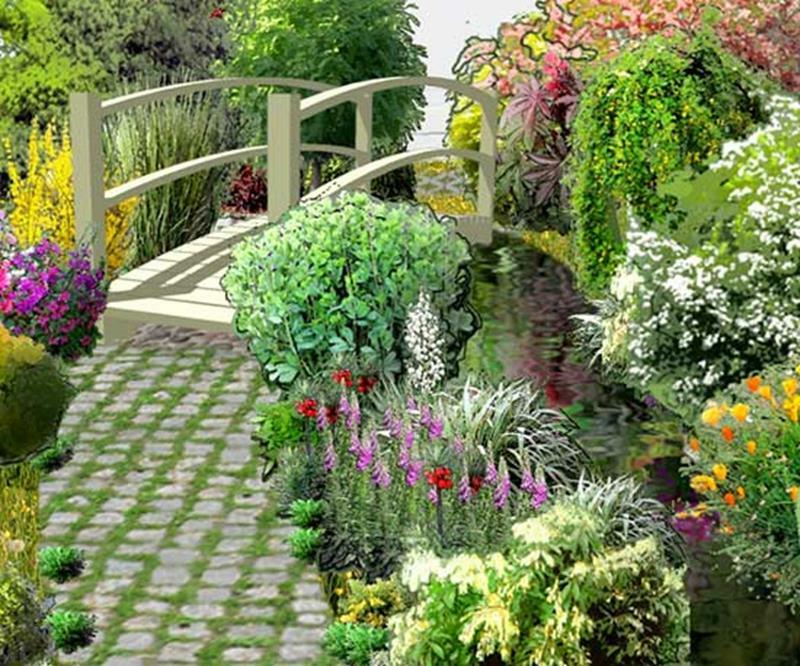 We have gathered together the best free and paid landscape and garden design software out there, and it will introduce you to new levels of creativity. Instead of calling in a professional landscaper, these software options give you the ability to plan on your own. From stunning 3D visualizations to augmented reality, technology has allowed for major advances when it comes to planning and designing all aspects of your home. Check out these options below for the best fit for your next landscape and garden. We always want to bring you both free and paid software ideas. For the free options, you can get some really good overall landscaping ideas. With some of them, you will find that they have both free and paid options, with some requiring a purchase to download plans or get extra settings. We’ve brought you Smartdraw software before for other design areas around your home. They have great tools that are easy to use. The down side to this software is that, while you get many features for free, you have to pay for the premium version. You can use the software online on any computer or tablet, so it is versatile. They have many help features, so if you are new to landscape design, you won’t be lost. Don’t be put off by the fact that Gardena is a supplier of all things landscaping. Sure, they want you to by their products, but their software is actually pretty good. Their software is available through the website, not an app, and they really help you get an overall plan for your yard. 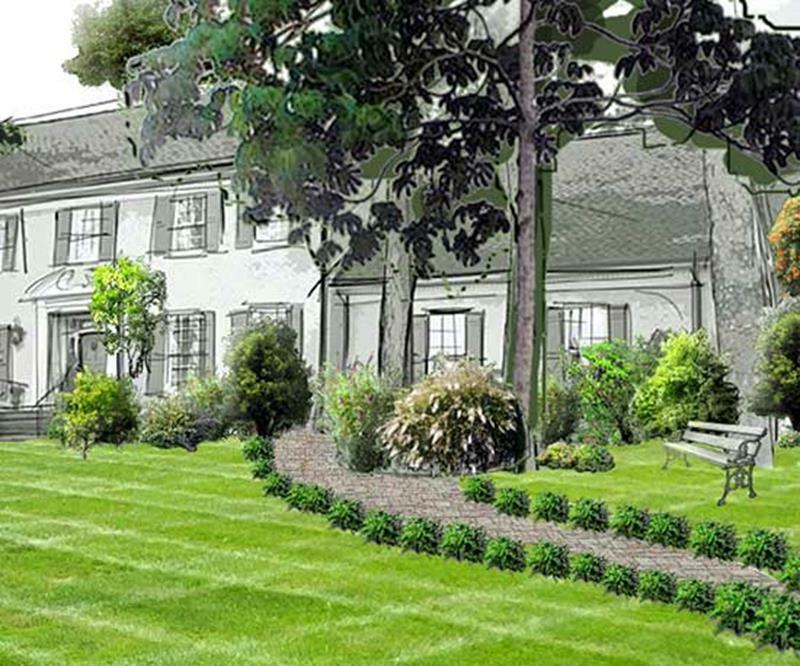 You can design your own yard with your own specifications or you can choose from one of their many pre-designed landscapes. You had to have known that you would see something from BHG when we write an article on landscaping. They’ve been in the business for a long time and they also have a free software. Their Plan-a-Garden software helps you plan a garden or landscape of any size, allowing you to add in hundreds of plant styles, buildings, fences, sheds, ponds, and more. They have pre-selected sceneries and housing types. 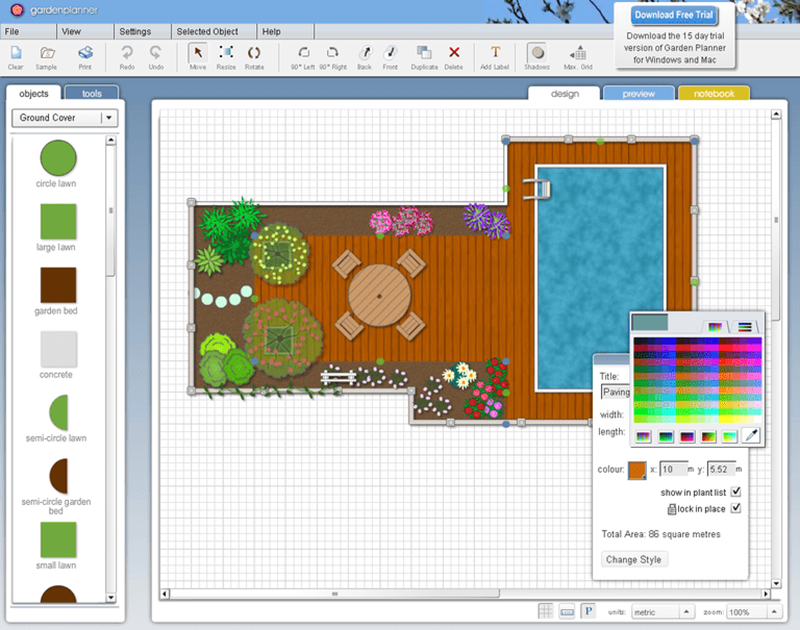 To get an overall landscape idea for your yard, this is a great software. 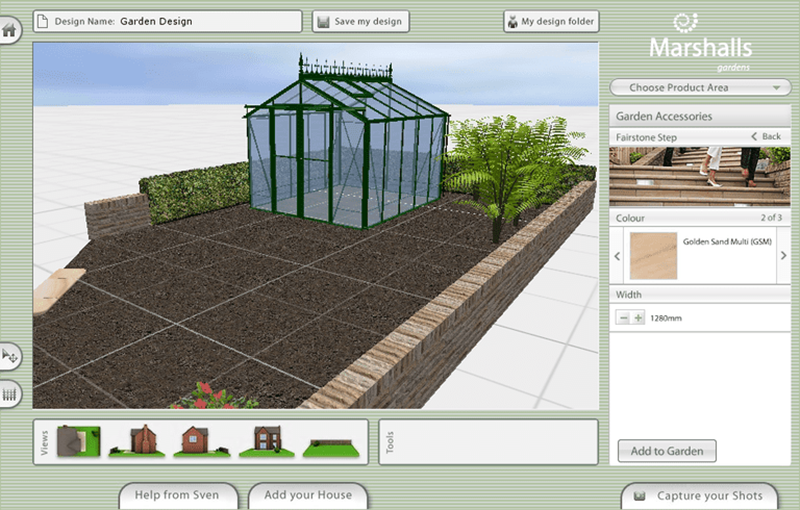 We like Marshalls Garden Visualizer because it is easy to use and it lets you create great 3D garden designs for free. You can choose from a wide variety of plants, paving, walling, edging, and other items to get a complete view of what you really want. Marshalls really specializes in paving around the landscape, but they give you stunning visualizations of the overall scene as well. This software has a free and paid version, but you can get a bunch done with the free one. 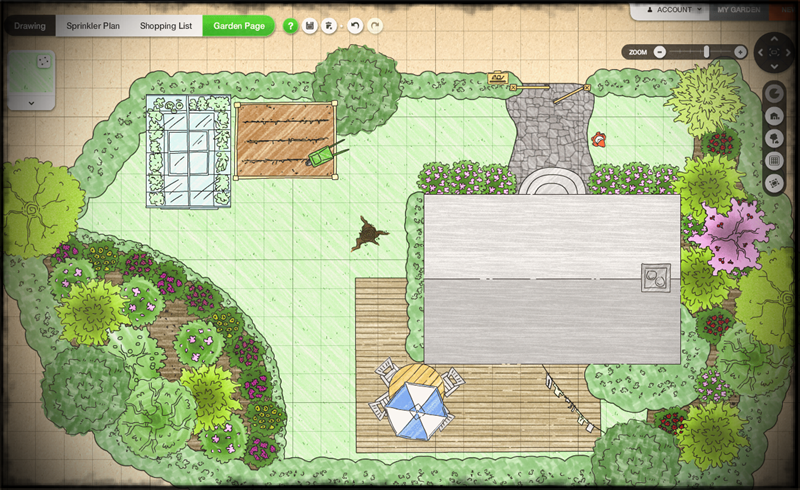 Shoot Gardening is really easy to use and lets you customize your garden and landscape. With over 10,000 plant varieties to choose from, you can be sure they will have what you need. When you get your garden designed, you can get monthly care advice for each of your plants. 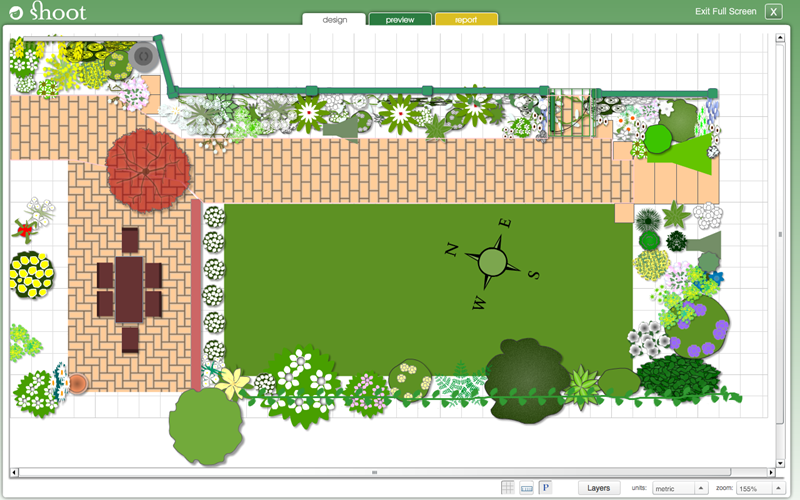 This software is focused on gardens, but it does let you plan an overall landscape design as well. This is a great software because you can download the app for both iOS and Android devices. The whole system is free, but you will have to pay if you want to download the plans you make. 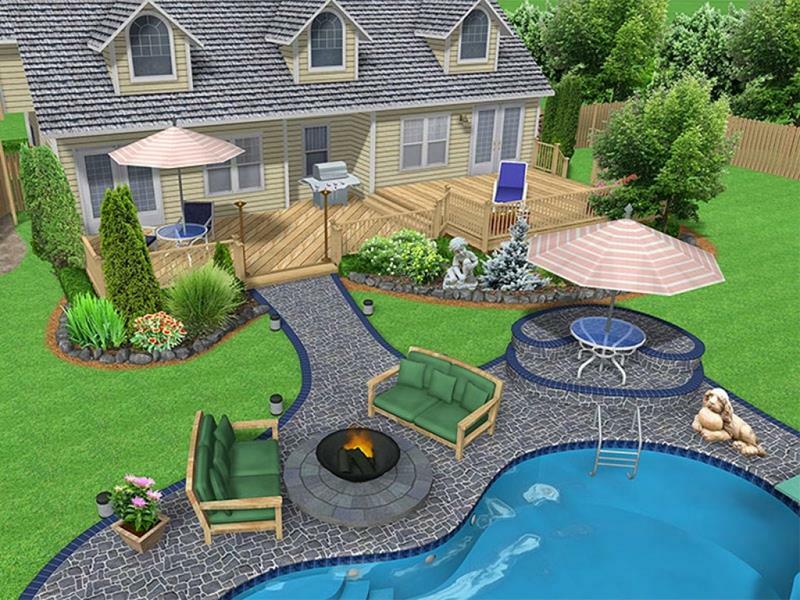 You can choose from many different landscape layouts or create your own and there are plenty of options to choose from when it comes to placing items around the yard. The paid options are great, especially if you are undertaking a major landscaping project. Be aware, the prices can get expensive, so choose the plan that works best for you. We’ve brought you some of these before, as many of them specialize in whole home designs as well. 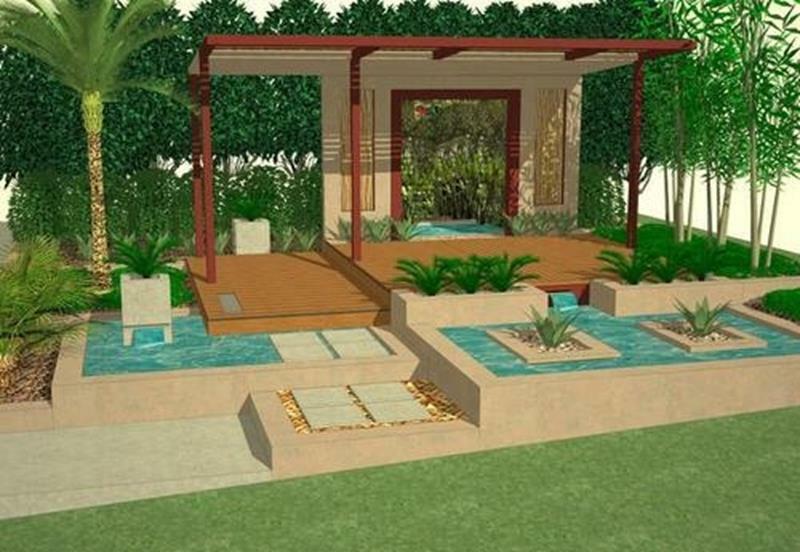 Idea Spectrum brings you Realtime Landscape Architect software and it is extensive. You can create a landscape from scratch and have help at every step along the way. They have videos, tutorials, and updates always available. The 3D renderings are amazing. They will give you a realistic look of how your final design will be. You can print out professional plans and pricing options when you are finished. We’ve brought you Chief Architect before. One feature we really like is that you can actually rent the software for a period of time, which saves you money. If you don’t need the software for commercial use, and are just designing your own personal space, you may only need to rent the product. Chief Architect specializes in software for the whole home, inside and out. They really have it all. Their 3D renderings are spot on and you can get complete plans when you finish your design planning. SketchUp comes in both free and paid versions, but it is meant for the pros. We’ve brought you SketchUp before, and they specialize in helping design the inside and outside of your home. Because it is meant for professionals, the price tag is a bit high, but if you are going to be doing extensive landscaping, this is a great tool. SketchUp lets you draw in 3D, lets your layer multiple levels, and helps you get the plans presentation ready. The 3D renderings and walkthroughs are wonderful. 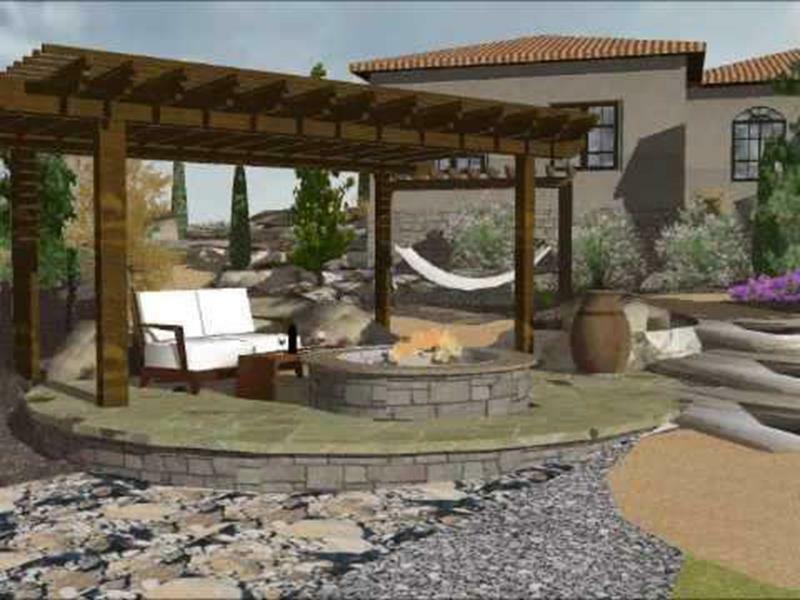 Virtual Architect specializes in all areas of home design, and they work well with landscaping and gardening as well. They have a large catalogue of plants to choose from, as well as pools, hot tubs, fences, and lighting. They specialize in terrain modeling and irrigation, so you can ensure that every part of your plan comes together. There are three different plans and they all come with different price tags, though none of them is outrageously expensive. Choose the one that best suits your needs. You know you are getting quality software when you go with Punch! Software. Punch! has a feature that allows you to take a photo of the are you want to design around, upload it, and start working. By doing this, you can design a plan around your own home so there is no guessing what the final outcome will look like. Punch! has a large catalogue of items for you to choose from, so you can be sure all of your landscaping needs will be met. You can get 2D, 3D, and aerial views of your design every step along the way. Structure Studios goes above and beyond, giving you so many options for your landscaping. With a huge array of items to choose from, you they also specialize in outdoor kitchens, hardscapes, and pools. Since that is all a part of the landscape, you will love this software. When you get your plans laid out, they now offer an augmented reality walkthrough. This will let you actually walk through your outdoor area with your device, hold it up, and see what your plans will look like. Best Free Option: We excluded the options that make you pay eventually, so we choose Shoot Gardening. As with all free options, you aren’t going to get the amazing visuals like the paid plans, but Shoot Gardening gives you a great overall look at your landscape. We love how many options they have for items. Best Paid Option: We think Punch! Landscape Software is the best option. It is reasonably priced and gives you fantastic options. You can get as in depth as you need to with this software and the options are limitless.